This elegant women's ring is brought to you by brand shaze. The ring features studded clear cubic zirconia enhanced by a fine rhodium polish. The intricate details and fine craftsmanship provides a charming but bold new look to the product. The design is based on the shape of the rose flower. 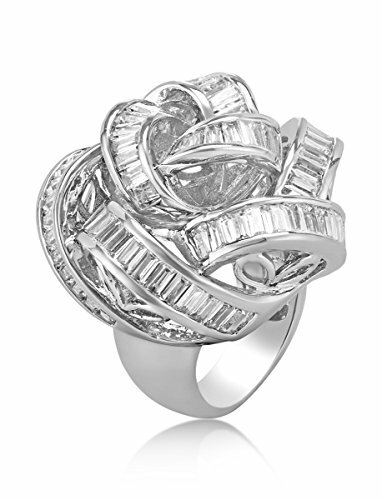 Addition of the Fashion Rose Ring would definitely enhance the style quotient. This could be a great gift for your loved ones also.